Russian upper house approves draft law amendments on bribery fines | Russian Legal Information Agency (RAPSI). Moscow, April 27 - RAPSI. The upper house of the Russian parliament, the Federation Council, has approved a draft law proposing to introduce fines of up to 100 times the amount of corrupt payments and bribes. The draft law envisages four bribe types, specifically: a minor bribe of up to 25,000 rubles penalized by a 25- to 50-fold fine; a sizeable bribe from 25,000 to 150,000 rubles penalized by a 30- to 60-fold fine; a large bribe from 150,000 to 1 million rubles penalized by a 70- to 90-fold fine; and, an especially large bribe of over 1 million rubles penalized by an 80- to 100-fold fine. Today, Russian Civil Code stipulates amenability for a minor bribe of up to 150,000 rubles and for a large bribe of over 150,000 rubles. The law stipulates a sum of 25,000 rubles as the minimum fine. 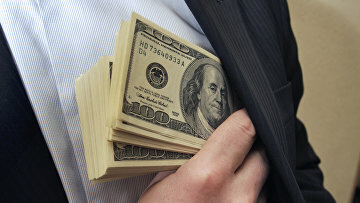 For promising to mediate a bribe, the draft law envisages a penalty of 25,000 to 500 million rubles with the deprivation of the right to hold specific posts or engage in certain activities for up to three years. The draft law proposes imprisonment as an alternative penalty along with a fine. The court will institute separate proceedings for mediating bribes. The amendments also specify criminal responsibility for bribing foreign officials and foreign public organizations. The minimum criminal fine has been increased from 2,500 to 5,000 rubles. The draft laws are now to be signed by the Russian president.